Satyam Shivam Sundaram. Truth, Divinity and Beauty are One. Dive into your true Self as you reveal your innate inner beauty and create a gateway for your outer radiance, illuminating the direct experience of Oneness. This work shatters the misconception of today’s vision of beauty as caricatured in the media, and replaces it by creating a platform for each woman to discover her own infinite spark of perfect Shakti, the beatific blossom of her deepest heart and essence. Weaving dance, meditation, invocation and sacred art, we tap into women's wisdom traditions of tasting our mystical union beginning through the form (the physical) as we embrace the formless (pure spirit). Each day of this workshop incorporates elements of sacred dance, Tantric principles and meditations inspired by the Vijnana Bhairava Tantra, ecstatic poetry, journal writing and creative photography. Tools for understanding the connection between spirit, mind and body will be shared, including an exploration of our subtle energy bodies (pancakoshas) and related healing modalities. Through sacred photography, we explore universal questions of “Who is observed”, “Who is the observerer?”, and “What is real?” Inspiration flows through our ability to see the dance between manifestation and the beauty of presence and consciousness. The process peels away our illusions and leaves us empowered to create our own reality through transfiguration. We witness our own lives as the perfect play of Source unfolding. Working with archetypes, ritual, the healing energetics of dance, sacred seed sounds (mantras) and the magic of transfiguration, we celebrate the feminine face of the Divine in us all. We also tend the space as we recharge the planet with the vibration of transcendent beauty and cultivate the resurgence of the feminine principle on Mother Earth. 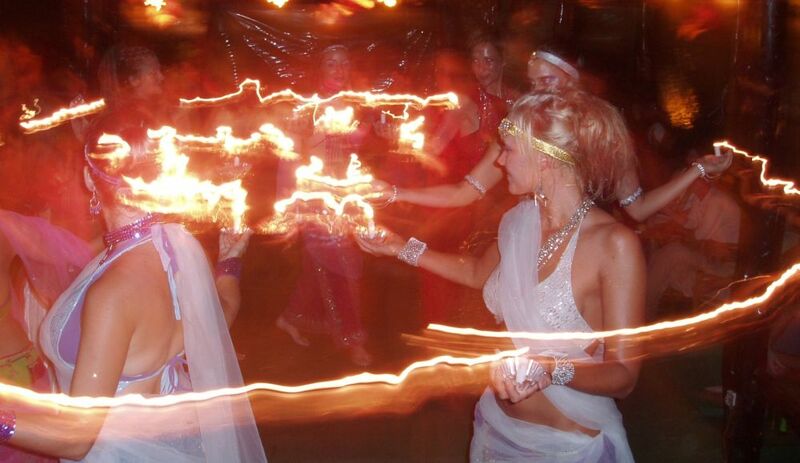 Mystical Beauty principles are woven within all of the Mystical Belly Dance, Mystical Dance and Tantra Dance workshops. Specific Mystical Beauty projects, delving deeper into the process, are upcoming in India (Dakini-Devi Ritual in Dharamsala, June 2012), Turkey (Awakened Goddess Odyssey, August 2012) and most fully in Thailand in the Mystical Dance Teacher Training. Depending on our location, different practices and Goddess traditions will be highlighted and explored. Regardless of what drew you to this transformational process, you will emerge with a tangible symbol of your Divine spark, every day tools for cultivating radiance, and a true knowing and awareness of your ever-present Mystical Beauty. Bring your sword (a pen :-) and journal; a talis(wo)man or small object to create a group altar; clothes and ornaments that inspire your inner and outer Goddess (as many as you can travel with because as Shaktis, we do like richness and variety! ); and a digital camera if you have one. Most importantly, bring an open mind and heart and a readiness to discover beauty in all of her forms. Basic veils, candle props and other sparkly tid-bits will be provided to adorn you. Come as you are! This is the perfect place to begin. What is the cost and how do I find more information? The workshop tuition varies depending on location and length. Please write to monikadancer@yahoo.com for more details. A percentage of the proceeds are funneled back into the community of Dharamsala to sustain non-profit projects highlighting the Mystical Beauty of the local Indian and Tibetan women. A book and video capturing the Mystical Beauty journey are also in process. I have been with you all along.